Consumers want their financial institution to understand their needs and deliver personalized offers. 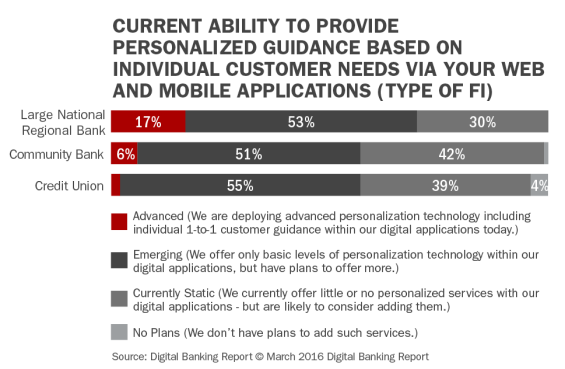 Most banks and credit unions are unable to deliver on this 'personalization promise'. 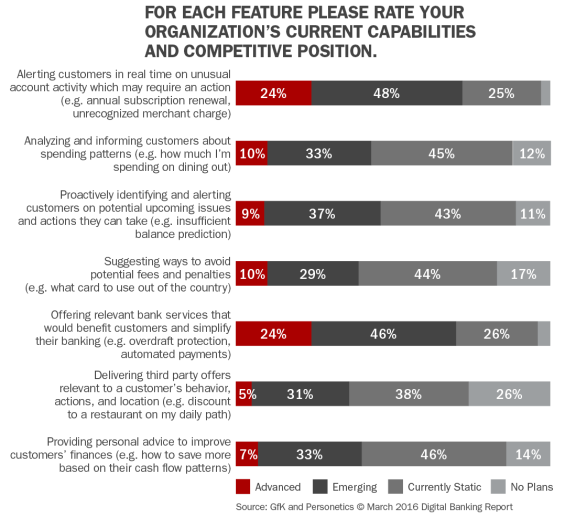 What are the personalization gaps and how can the banking industry respond? The financial services marketplace is becoming increasing competitive with fintech start-ups and, to a certain degree, major technology firms such as Google, Apple, Samsung and others. The consumer is also becoming increasingly demanding around their expectations for a more personalized digital experience. As we move forward, where are the “gaps” between what consumers want and what financial firms can deliver? 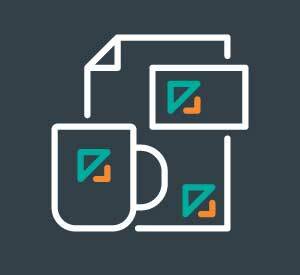 In an unprecedented research initiative, sponsored by Personetics and supported by the global market research leader GfK, the Digital Banking Report has surveyed both consumers and the global financial services community to determine the key beliefs, behaviors, trends and priorities related to personalization of the banking relationship. The consumer is concerned about their finances and looks to their primary financial institution for personalized solutions and advice. While the relationship between the consumer and their banking organization is still strong, new fintech players and non-financial firms are upping the ante with highly customized digital solutions. 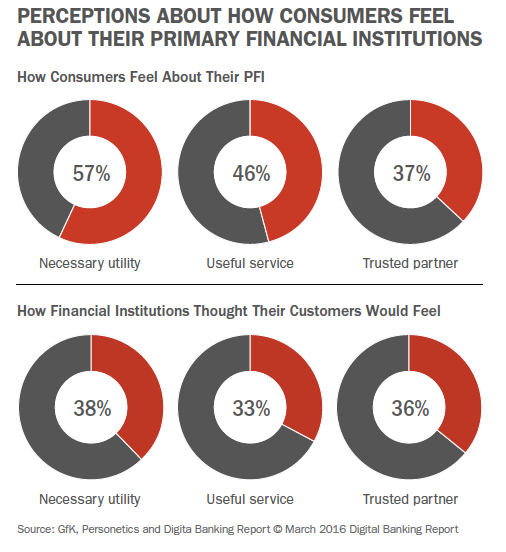 Financial institutions overestimate how consumers view their relationship with banking. This creates a false sense of confidence and may delay the prioritization of leveraging advanced analytics. The majority of financial institutions of all sizes are unprepared to provide personalized advice, communication and offers. Personalization across all stages of the consumer journey will be a key differentiator for banking in the very near future. Our research indicates that 57% of consumers consider their primary financial institution (PFI) as a ‘necessary utility’, with 46% believing that their bank or credit union is a ‘useful service’, and only 37% seeing their PFI as a trusted partner. When financial institutions were asked how their customers would respond to the same question, there was agreement with the percentage who would see their PFI as a ‘trusted partner’ (36%), but there was a ‘perception gap’ with only 38% thinking their customers would see them as a ‘necessary utility’. In addition, less than one-third (31%) of consumers surveyed thought their financial institution knew their needs well and only slightly more (34%) thought their bank had their best interests in mind. In comparison, financial institutions thought 27% of consumers would say their PFI knew their financial needs and 43% would believe their PFI had their interests in mind. 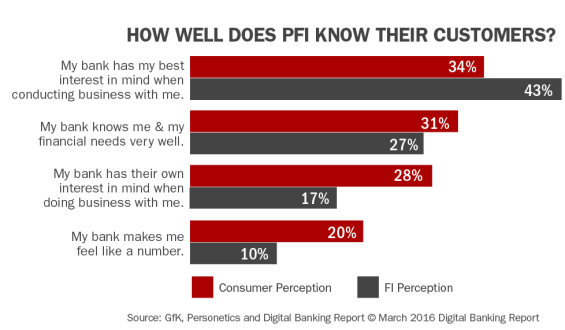 Finally, when consumers were asked whether their PFI provided any personalized recommendations or advice based on their financial activity and banking behavior, it was found that the vast majority didn’t receive tools to help them better manage their day-to-day financial lives. The financial institutions surveyed agreed, with their self-evaluation of their ability to deliver personalized recommendations and advice indicating that, while capabilities are ‘emerging’, they are by no means ‘advanced’. From the results included in the report, it is clear there is a perception gap between how a consumer views their financial institution and how the banking industry believes they are viewed. Potentially more concerning is that the views are not overwhelmingly positive by either the consumer or financial institution. Despite relatively low indications that consumers will switch institutions soon, these findings are not a good reflection on the financial services industry or an indicator of lasting loyalty. 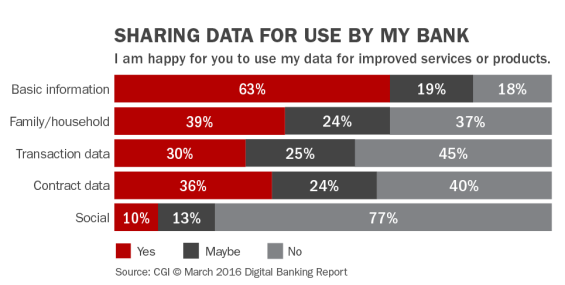 In research included in the Digital Banking Report conducted by CGI, it was found that consumers want personalized services and they want to be rewarded for their business. The study also found that consumers are willing to switch to non-bank alternatives to find these new services, as well as pay fees for them. This suggests that there are immediate opportunities for banks and credit unions able to respond to these increasing consumer demands. Leading banking providers must be focused on personalizing their digital offerings to ensure they match or exceed both traditional players and new competitors who are delivering real time contextual engagement. Consumers expect banks to look and act more like their non-financial partners in how they gather and use their personal and transaction data. They expect their personal financial institution to understand where they stand financially and what may lie ahead. This would represent a ‘GPS’ view of their financial lives as opposed to a ‘rear view mirror’ view of what has already occurred. Interestingly, nearly one in five consumers say they are willing to pay their banking provider to know them better. Unfortunately, as we found in our research, most consumers don’t believe that their primary financial institution knows them very well. Respondents believe that banks should know their short- and long-term financial goals, so that they can provide support in meeting those goals. However, an average of only 24% of respondents believes that their bank understands any of their current goals. To get to the level of understanding desired, consumers are willing to share insight with their primary financial institution according to the CGI research. This is in stark contrast to the amount of insight most financial institutions are willing to ask, collect, and utilize for the benefit of the consumer. Our research indicates that there is almost always a value tradeoff where consumers will share insight. The key will be to leverage insight for the clear benefit of the consumer, illustrating how improved insight can lead to a better consumer experience. Some financial organizations are leveraging new digital applications and advances in predictive analytics to take what they already “know” impersonally about an individual (from transaction data and other sources) and are transforming that insight into solutions that are predictive, personally relevant and useful. Unfortunately, as our research shows, this is not the norm. While institutions know the importance of providing real-time, customized guidance, the vast majority of organizations are not prepared to deliver. There is a significant gap in the ability to provide contextual insights and solutions that illustrate that their organization is looking out for their consumer. A key missing component of this deliverable is the ability to provide these insights in real time through digital channels. When asked to rate themselves as ‘Advanced’, ‘Emerging’, ‘Static’ or having ‘No Plans’ to provide contextual, personalized insights and solutions to consumers, even the largest financial institutions had a low level (17% advanced) of self assessment around the ability to provide real-time contextual guidance. While it was encouraging that roughly 50% of each type of organization in all asset ranges considered themselves as ‘Emerging’ the unasked question was the timeline around moving from an ‘Emerging’ level to being ‘Advanced’ in leveraging consumer insights to deliver a personalized experience. We believe it is highly concerning that such a high percentage of institutions considered their ability to deliver contextual insights as ‘Static’ (little or no digital personalization with a possibility of offering in the future). 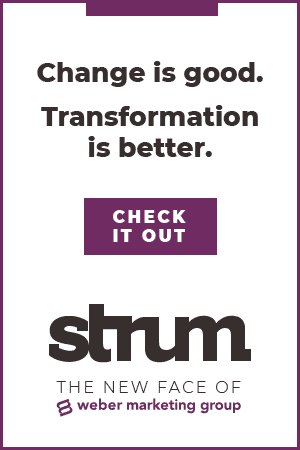 Except for the very largest organizations, roughly 40% of all financial institutions placed themselves in the ‘Static’ self-assessment category. The ability to provide specific contextual alerts and notifications was also very low in our research. 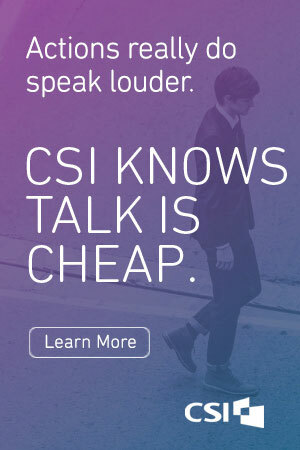 There is obviously significant opportunity to grow this important communication tool with the consumer. Almost one quarter of institutions notify consumers about unusual activity or when the consumer needs to take action on their account (such as with an overdraft). Organizations also said they we able to provide relevant services. It should be noted that the question regarding the ability to recommend services is open to interpretation and this capability may not be a contextual offering in real time. In a classic ‘glass half full’ scenario, while there is a significant gap between what consumers expect and what banks are currently delivering, this gap provides a tremendous opportunity for differentiation. What’s encouraging is that consumers want to help financial organizations improve the way they communicate, provide advice and sell in the future by making personal insights available. The caveat is that they expect value for their personal data. As the cost of technology and advanced analytic tools drops, the personalization tools once only available to the largest banks are now available to virtually any organization. 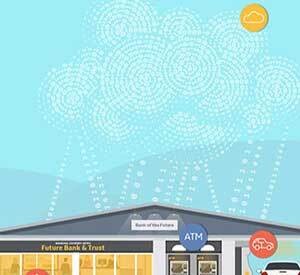 The key will be to leverage these tools to provide contextual solutions the consumer wants. This article was originally published on March 28, 2016 . All content © 2019 by The Financial Brand and may not be reproduced by any means without permission.